As soon as you walk into Coconut’s Fish Café, you are immediately transported to the Hawaiian Islands. 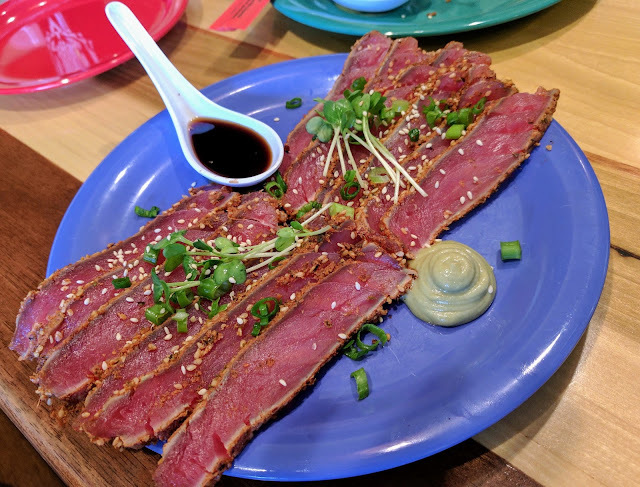 From the Hawaiian music playing in the background, the staff’s welcoming hospitality, to the “ono” (delicious) dishes, Coconut’s in Cupertino is definitely a must-see! 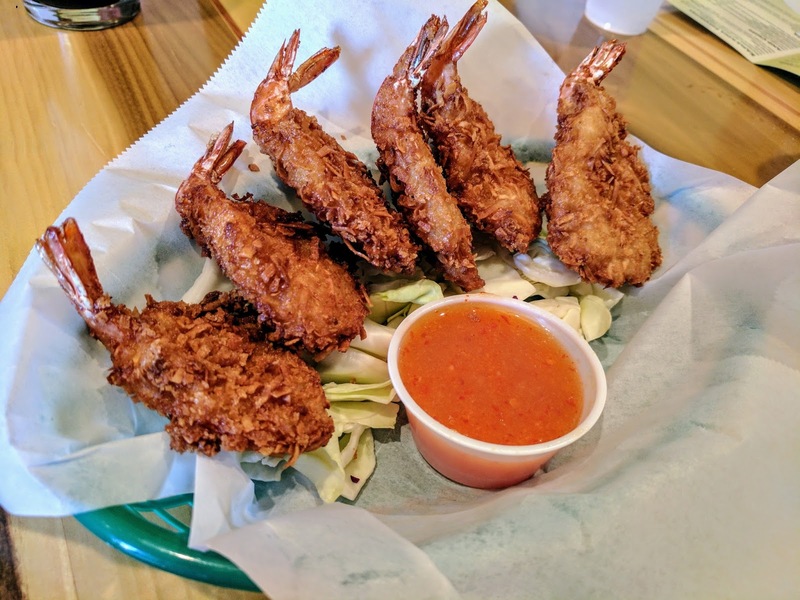 Coconut’s is a fast casual restaurant where patrons order at the counter. From a menu perspective, think of it as a much healthier version of L&L’s. With great Pu-Pus (appetizers), healthy salads, gluten-free options, delicious entree selections to a keiki (kids) menu, Coconut’s has a variety of food choices for everyone. 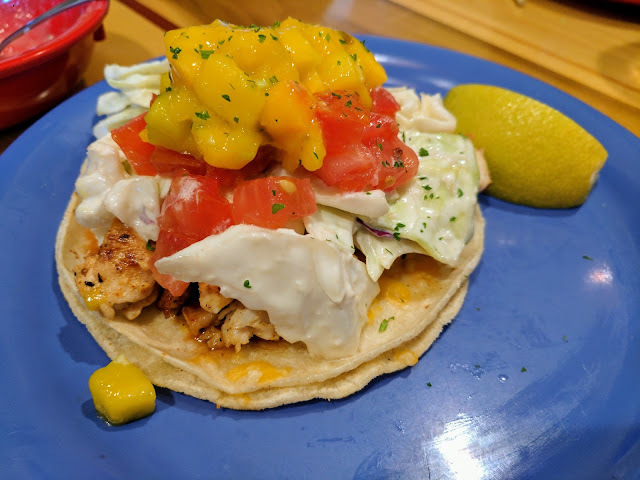 The restaurant is renown for its fish tacos and it surely didn’t disappoint. The fresh mango salsa paired with Coconut’s famous coleslaw married perfectly #bomb. The Fish and Chips were so scrumptious and one of my faves. I loved how the chips weren’t a thicker cut so it’s definitely a great platter for sharing #hellagood. If I can live on just eating two things in this world, it would have to be calamari and shrimp. So, I was definitely excited that we ordered both of these Pu-Pus. 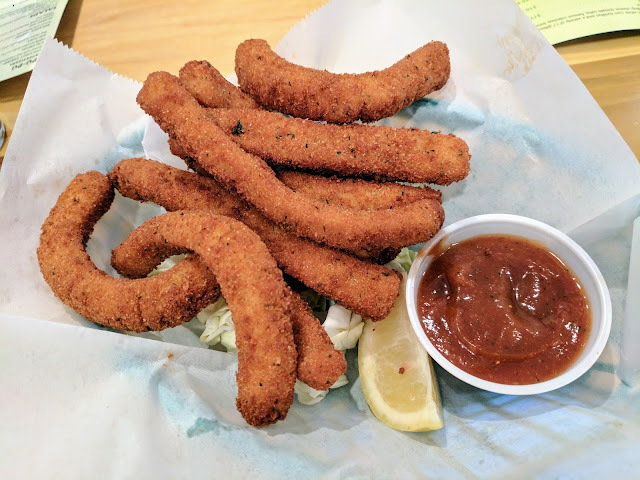 It’s worth noting that the calamari is sliced calamari steak (the best cut) #obsessed. 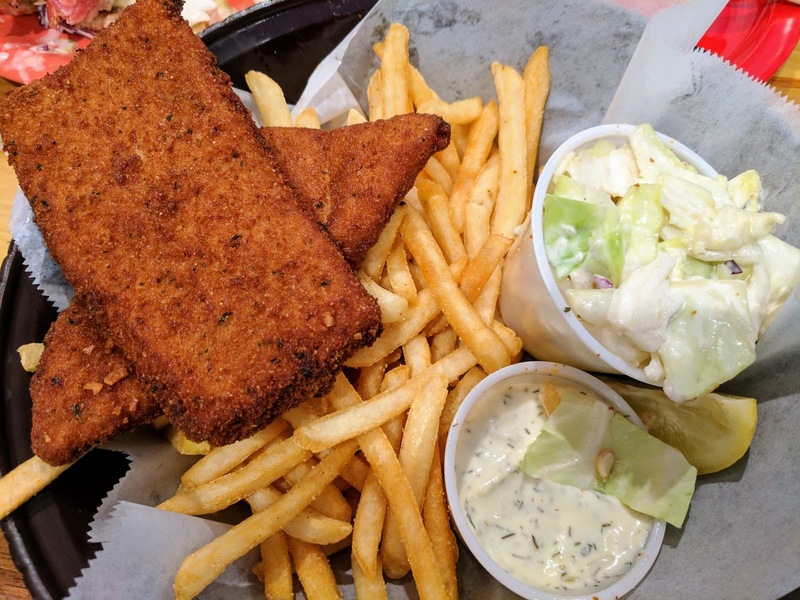 Coconut's Fish Café is located at 20010 Stevens Creek Blvd in Cupertino and is open every day from 11am to 9pm.